Bobby Fischer (1943 – 2008) became World Chess Champion in 1972, after beating the defending champion Boris Spassky in Reykjavik, Iceland. Taking place during a very chilling part of the Cold War, this match where a U.S. player challenged a Soviet Union one became highly publicized and was dubbed “Match of the Century”. Robert James Fischer was born in Chicago, Illinois, USA on March 9, 1943. He learned to play chess when he was six years old, and eventually started playing at the Brooklyn Chess Club and Manhattan Chess Club. At the age of 14, he became the youngest player to win the U.S. Championships. At the age of 15, he became an International Grandmaster, breaking the old age record for youngest international Grandmaster. After becoming an International Grandmaster, Bobby Fischer continued to play both U.S. Championship matches and World Championship matches. In the early 1970’s, he achieved a 20-game winning streak. In 1972, he defeated the reigning World Chess Champion Boris Spassky from the Soviet Union in a highly publicized event in Reykjavik, Iceland. Bobby Fischer was now the World Chess Champion – the first one ever from the United States. 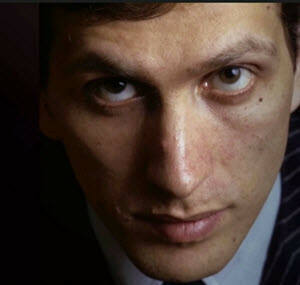 In the mid 1970s, Anatoly Karpov had earned the right to challenge the reigning World Chess Champion, but Bobby Fischer refused to play against him unless a long row of demands were fulfilled. The International Chess Federation stripped Fischer of this title and gave it to Karpov. After many years of living a turbulent life, Fischer agreed to play Boris Spassky in a $5 million rematch in Yogoslavia on the 20th anniversary of their championship match in Reykjavik. Fischer won the match, but found himself in a heap of legal trouble afterwards. Because of the ongoing Yugoslavian war, United States citizens were not allowed to visit Yugoslavia without special permission, and Fischer would now face criminal charges if he returned to the US. Fischer therefore remained in exile. In the 1990’s, Fischer invented and patented a modified chess timing system, where a time increment was added to the player’s time after each move. This chess timing system is today used in virtually of the top tournaments. Fischer has also created a special variant of chess called Fischer Random Chess or Chess960. In 2004, he married Japanese chess player Miyoko Watai, who is a Woman International Master. In 2005, Fischer moved to Iceland after being granted Icelandic citizenship. In January 2008, he died of kidney failure in Reykjavik after refusing medical treatment for a urinary tract blockage.